The 1000 Mile Ultimate Tactel® Liner Sock has the unique double layer construction to offer maximum comfort with no blisters! 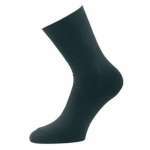 but in an incredibly versatile liner sock that can be used either on its own in the warmer months or teamed up with a thicker traditional walking sock in the colder months! This 1000 Mile liner sock comes with their Blister Free Guarantee! 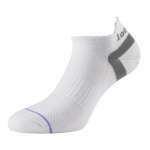 The double layer construction eliminates friction between shoe and sock, thus reducing friction between sock and foot. The skin should therefore not be rubbed in the sock, meaning no wear out for 1000 miles of use and no blisters! The Tactel® liner also wicks away perspiration to the moisture absorbing outer layer and the combination of fibres and top venting maintains a comfortable temperature for the foot, while the HeelPower design and arch bracing offer additional support and comfort. 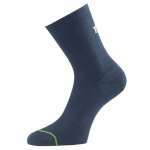 The 1000 Mile range has long been trusted and worn all over the world and, in our opinion, these Ultimate Tactel® Liner Socks are a must have for any hiker!